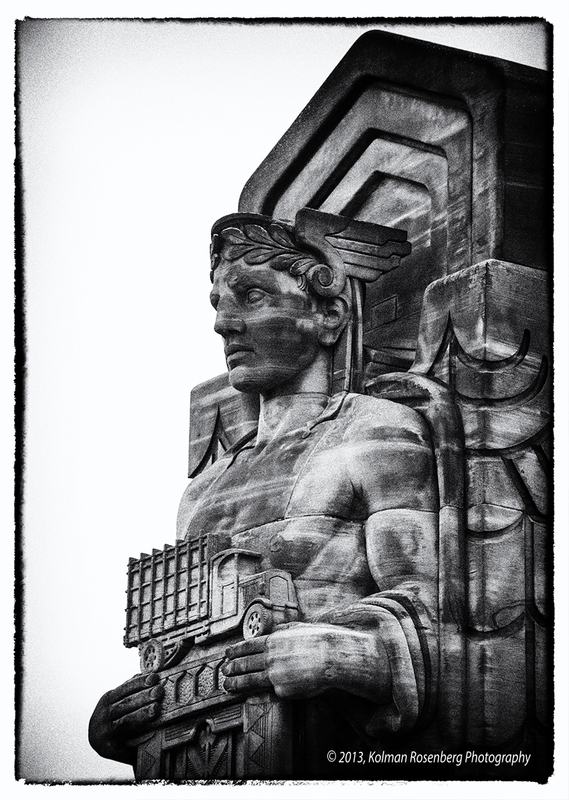 In 1932 Cleveland’s Lorain-Carnegie Bridge opened featuring four 43 foot tall pylons with 2 sandstone statues on each. 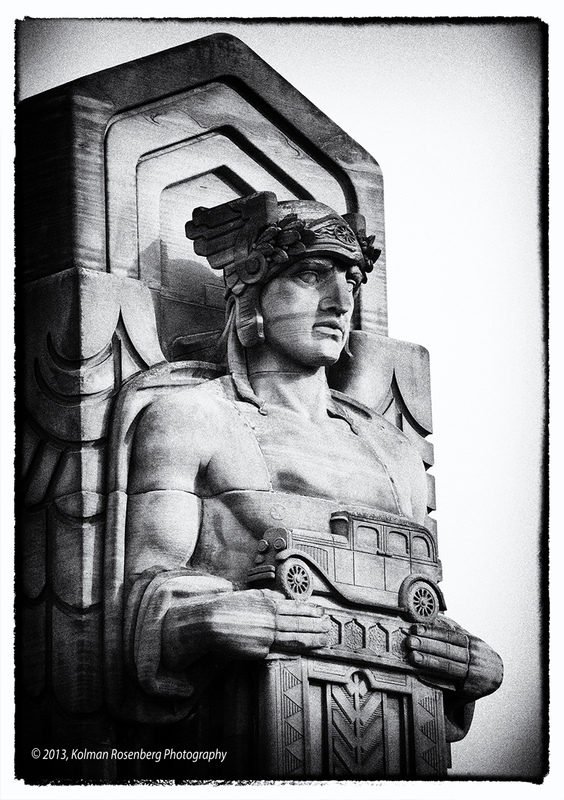 These 8 sandstone statues, named the “Guardians of Transportation” and carved out of local Berea sandstone, represented the advancing technology of sources of transportation. After 3 years of repairs lasting from 1980-1983 the bridge reopened and was renamed the Hope Memorial Bridge in honor of Bob Hope and his family who came to Cleveland in 1908 from England. Bob’s father, William Henry Hope was a stonemason who worked on the bridge’s original construction. 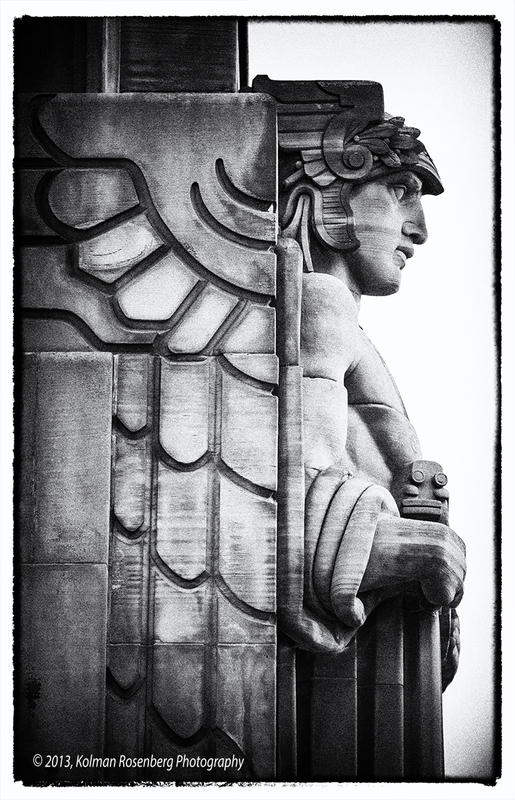 This entry was posted in Uncategorized and tagged B&W, berea, Black and White, bob hope, Bridge, carnegie, Cleveland, cuyahoga, guardian, guardians, guardians of transportation, hope memorial bridge, lorain, OH, ohio, photography, River, sandstone, stonemason, Transportation, willian henry hope. Bookmark the permalink. Kolman these are my favorite of all time Cleveland landmarks. They are very special. The photographs you have here are wonderful. Thank you for posting this. Thanks Patricia, glad you like them! I shot them over a year ago and didn’t post them because they are pretty common photos! I was looking for a different look for them and finally came up with it today! I like these specifically because they don’t seemed to be altered in any way. Do you sell copies of these? Yes, I do sell these photos. If you tell me what sizes you are interested in I’ll check and see if they are cropped for those sizes and provide you with prices. I look forward to hearing from you. Sorry it took so long to respond to your comment. I hadn’t checked the blog since my last posting. Hi Tiffany, thank you for visiting my blog and for your comment on my photos of the “Guardians”! I just made them available for viewing and purchasing, in many different formats, on a website called Fine Art America. Here is a link to my page. I think they are very reasonably priced. I hope your dad will purchase some for you. 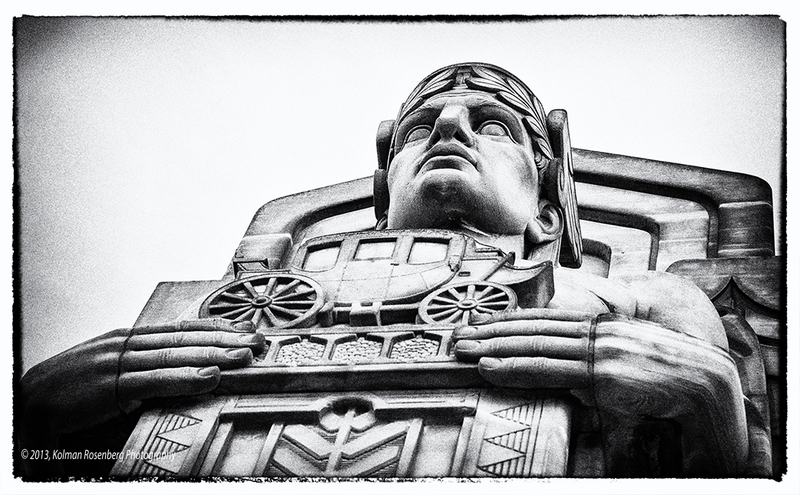 I’ll be posting other photos there as well that you might like, reflecting the Cleveland area. Thank you! I’m going to check the page out now!